One more rose! Shot with 60mm Nikkor macro in January at Mahabaleshwar. 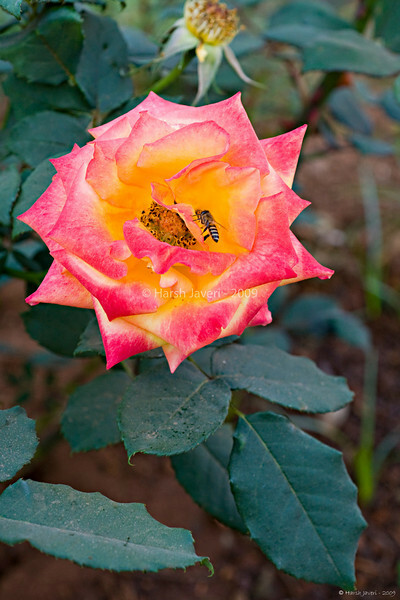 Nice shot of this rose and visitor! BEAUTIFUL. The bee really adds to it. The flower colors make it look as though it is back lighted. looks very real - as if the bee will buzz and fly...! Beautiful colors and nice detail!